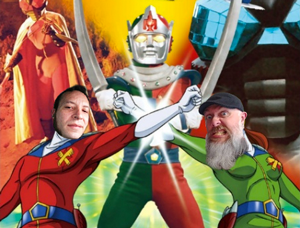 Sean and Kyle tackle the 1982 compilation film, Attack of the Super Monsters! Where to begin in this little blurb/writeup for the blog? I know some of you have been waiting to hear about this one. I actually found out about Attack of the Super Monsters (1982) a long time ago, watched it and then promptly and willfully ignored it for years. It’s not a film that even should be considered in the same way that Godzilla’s films should and are. Attack of the Super Monsters is a compilation film. What’s a compilation film, you ask?? Well, Sean joined me to talk about that, rittai anime, the Japanese source material and a whole lot more in this episode covering this very strange film. Attack of the Super Monsters might not be your cup of tea, but it definitely deserves a viewing at least once – hopefully with some friends and some laughs. Now, someone point me in the direction of an Izenborg episode online, because I can’t find any to watch! 9/8 – 9/10 Rose City Comic Con in Portland, Oregon — come out to our 12pm panel on Saturday! Big congratulations to the following entries that correctly answered the trivia question(s). These brilliant people have won themselves some stuff autographed by Shinji Higuchi, one of Shin Godzilla’s directors! September brings us another “off-brand” entry into the kaiju genre and I believe it might be related to this month’s movie – as we mention in the episode. 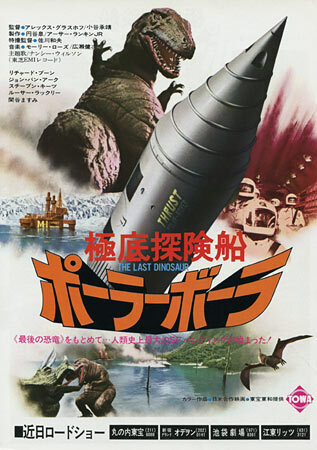 We will be watching The Last Dinosaur (1977), which was a co-production between Rankin Bass and Tsuburaya Productions. The film is definitely available for sale, legally by Warner Bros.